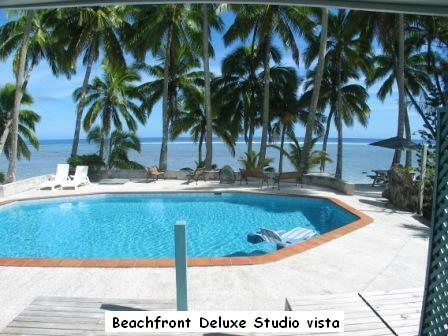 We are frequent travellers to Rarotonga, and have stayed at several places, but never the bigger resorts (that is not us!). We believe the west side of the island offers the best place to stay and with the Island being so accessible by scooter or car you can enjoy the whole island at your leisure. We had visited Sunhaven before and thought the setting and location was excellent and it is. We stayed in villa 3 and relaxed on our deck with amazing lagoon views and were treated to sights of the migrating whales. Patti is a delightful lady and never stops checking that you have everything that would possibly make you enjoy your stay. 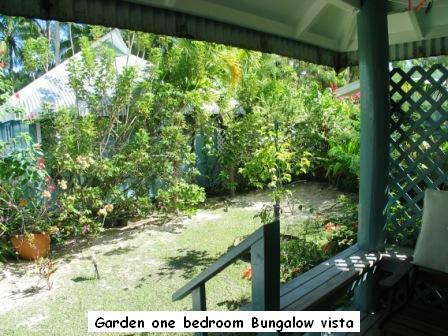 The staff are quietly friendly and service the bungalows to a very high standard. 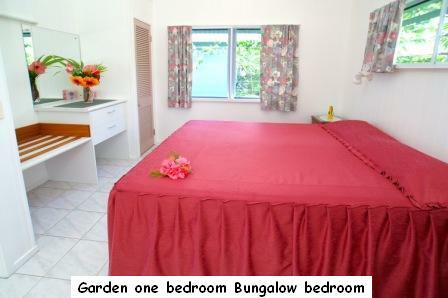 The one bedroom bungalows are very spacious and have good kitchens and bathrooms. Sunhaven rates as one of the cleanest accommodations we have ever stayed in anywhere...well done Patti and crew. We will be back! 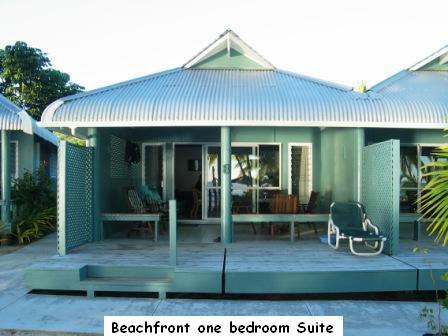 We stayed at Sunhaven for seven days mid September 2014. 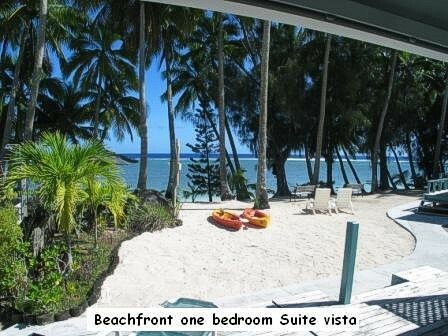 First went to Rarotonga seven years ago and were disappointed in our accommodation at the Edgewater. We discovered Sunhaven then and vowed if we ever came back that this is where we would stay. We came back, as everyone does, and had a wonderful holiday. Dennis and Patti are really lovely and nothing is too much trouble. 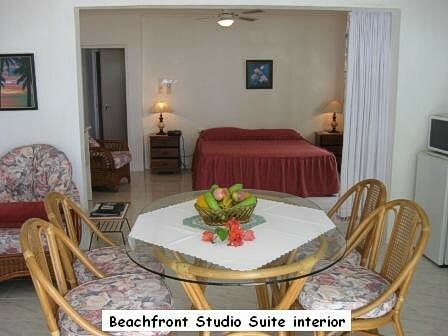 The suite was spotless and cleaned everyday with hibiscus flowers replaced every day as was the linen and towels. The staff were friendly and helpful with special thanks to Ali and Shari for helping to make our stay the best. Walked out one morning to see whales out at sea, through the palm trees, magical! Being so close to the ocean you would expect some saltiness on surfaces or glass, but not a sign anywhere. Quiet and relaxing with Aroa Beach Bar just down the road, especially convenient for a meal the first night. Gave Patti a hug on our way home, wouldn't do that with just anyone which speaks volumes. We will be back. Les and Lesley Button, Greytown, New Zealand. Stayed September 2014. 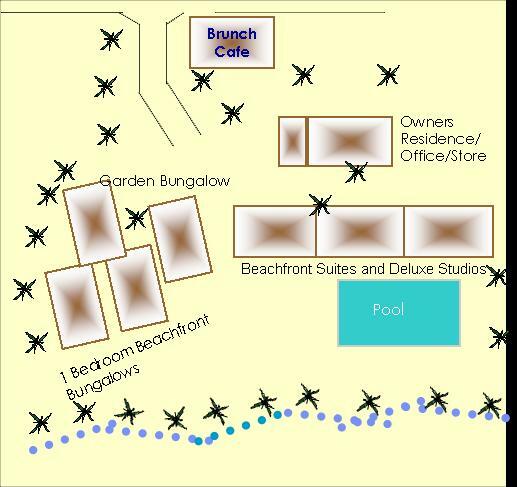 We recently stayed at Sunhaven as my husband was doing the 10k road race. We picked Sunhaven due to 1) child-free(!!!) 2) great reviews 3) pictures on website. Well, we weren't disappointed, thanks to Patti, Dennis, Shari and Ali whose fantastic customer service, friendliness and attention to detail made our stay a delight! Rooms were fastidiously clean with beautiful fresh flowers every day. The bed was SO comfortable and to be lulled asleep every night by the waves crashing on the reef was sublime. We were so sorry to leave and are already planning a return trip next year. Looking forward to saying Kia Orana again very soon! Thanks again. Jayne and Murray Johnson, Melbourne, Australia. Stayed September 2014. Fourth visit to Rarotonga, second time staying at Sunhaven. It has to be the best resort on the island. Great pool, top quality rooms management and staff treat guests like royalty. 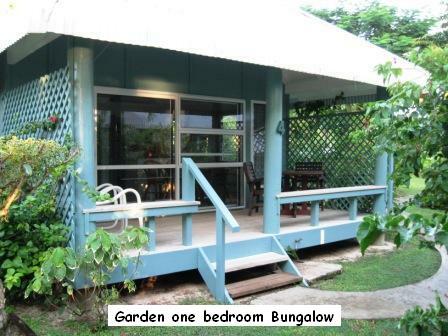 This resort is always kept immaculate inside the bungalows and also the grounds. The quality of this resort is proven by the people who return time after time. Rod and Judy Nelmes, Levin, New Zealand. Stayed September 2014. I am not one for writing reviews unless extremely dissatisfied or very happy. 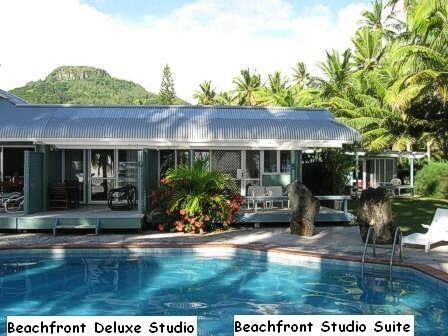 I recently spent eight days and nights staying at the Sunhaven Beach Bungalows in Rarotonga. The place is set on a nice beach looking out onto the ocean. We had a great view from our bungalow. 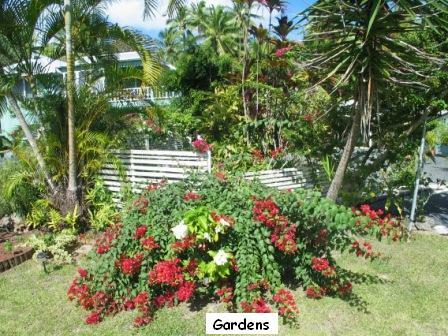 It has all the facilities you require to enjoy your holiday on Rarotonga. It's very quiet and private due to the no kids policy. However, it's not the wonderful setting and features that make this place, it's the staff and owners. Nothing was too much trouble for Patti and her staff and they went over and above what I would consider the call of duty. An example of this was when I came back from a chartered fishing trip (having caught four yahoo biggest 36kg) covered in fish slime from head to toe. I asked Patti if I could use the washing machine facilities and she told me to get changed and give her my fishy clothes. Two hours later they were returned washed, dried and ironed. I asked how much this would cost and she told me not to worry. This was just one of the things that impressed me about my stay and let me tell you there were many more. Patti obviously runs a tight ship, pretty much everything perfect with great attention to detail. Often it's the little things that count when you're on holiday. The cleanliness was second to none. Our next door neighbours left while we were there and the next day the bungalow was emptied of furniture and the place thoroughly cleaned. In summary, if I were to go back to Rarotonga I would defunitely stay here again. 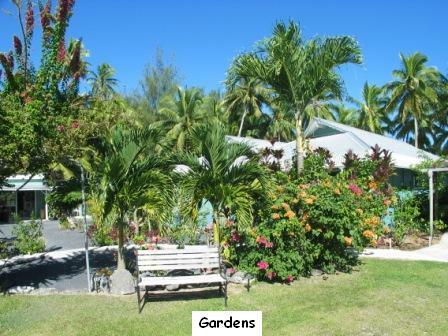 I would highly recommend this place and if you are looking for accommodation on Rarotonga you should certainly give this place serious consideration. Thanks to Patti and her staff and I hope to see you again next year. 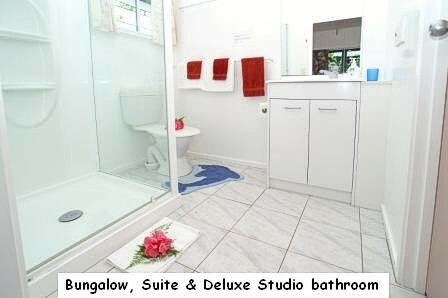 Our second visit to Rarotonga and our first time at the Sunhaven Bungalows and we were both amazed. 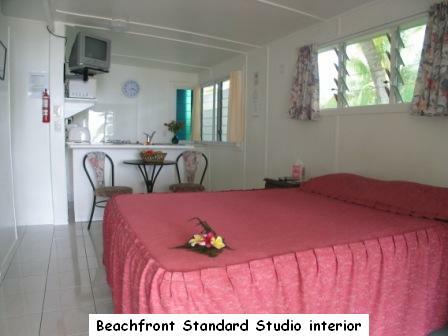 Beautiful clean and relaxing beach feel, with all the amenities. 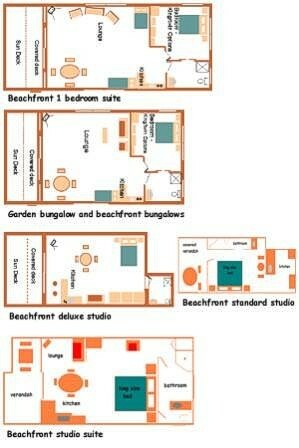 Large open plan lounge/kitchen, decent size bathroom, decent sized bedroom and very comfortable bed. Wood/bamboo furniture which was in great condition and the kitchen was well looked after and provided us with all we needed for our six nights. Instructions for different uses including rubbish removal and storage were straightforward. 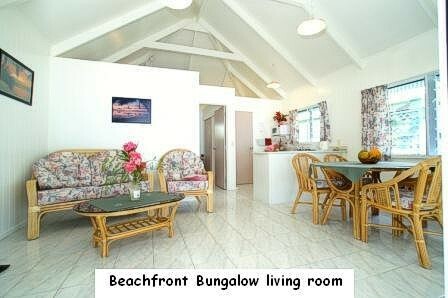 Our bungalow was cleaned regularly and meticulously. Our balcony was 5 or 6 metres from the waterline at low tide and perfect for those lazy afternoons reading or an early breakfast. Picturesque outlook which is really just wonderful. The pool and poolside lounges are great, giving you a choice of both ocean or pool - difficult decisions! The staff were terrific, helpful, friendly and always available with a smile and helpful hint! Sunhaven kindly included a week's scooter rental which was well received. We had a wonderful stay and will definitely be back! Conor O'Sullivan and Carla Consentino, Sydney, Australia. Stayed April 2014. Reconnect with life in our romantic island hideaway, plus child-free tranquillity.